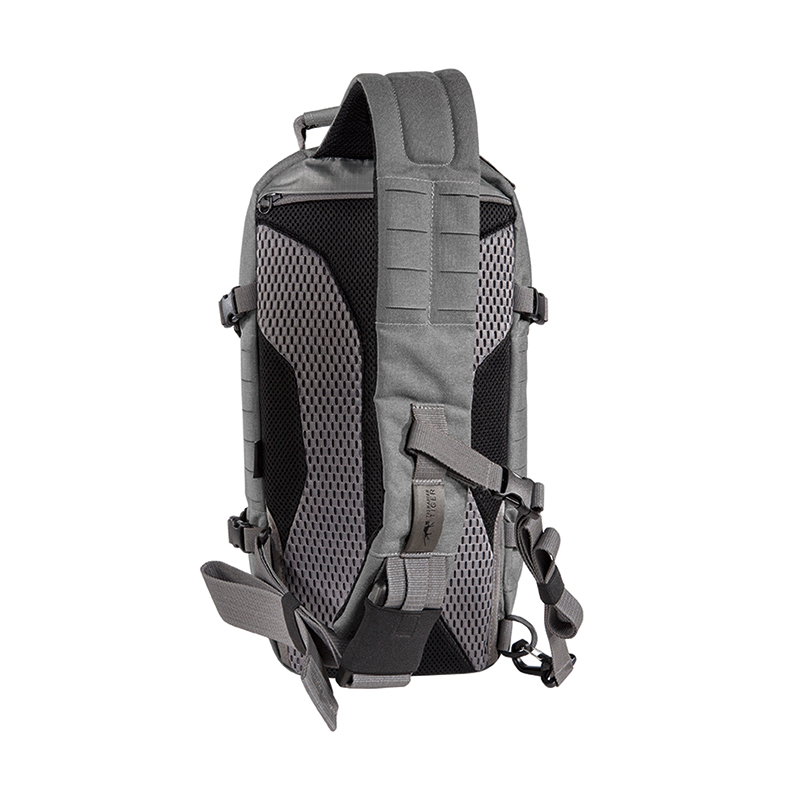 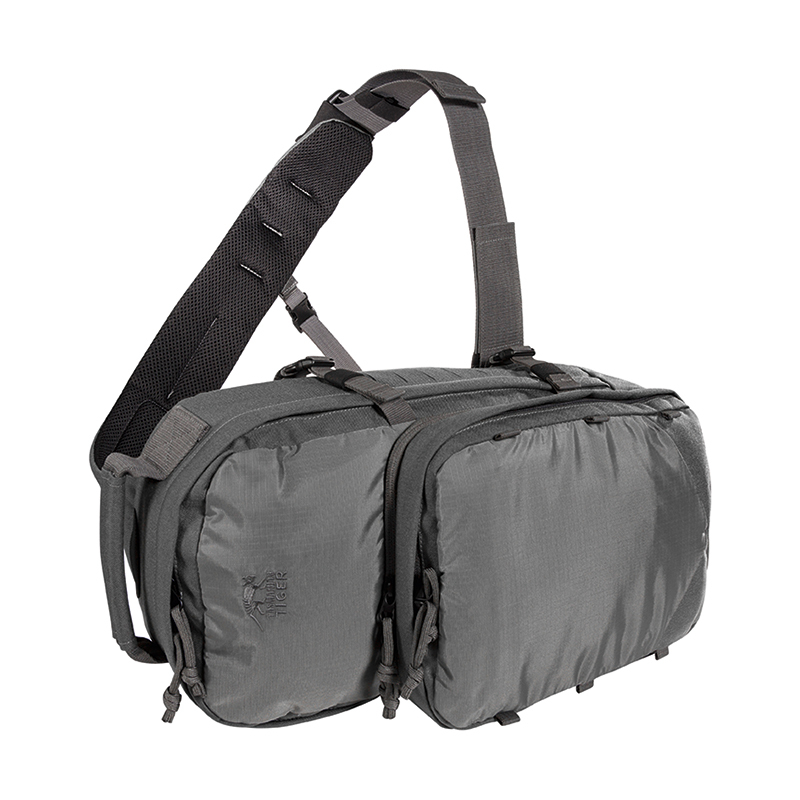 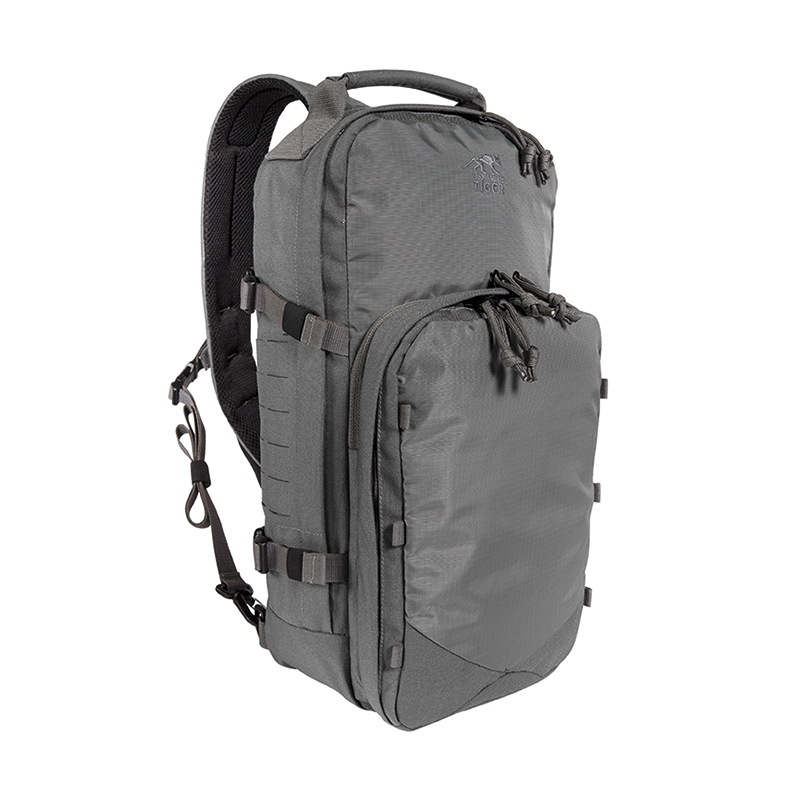 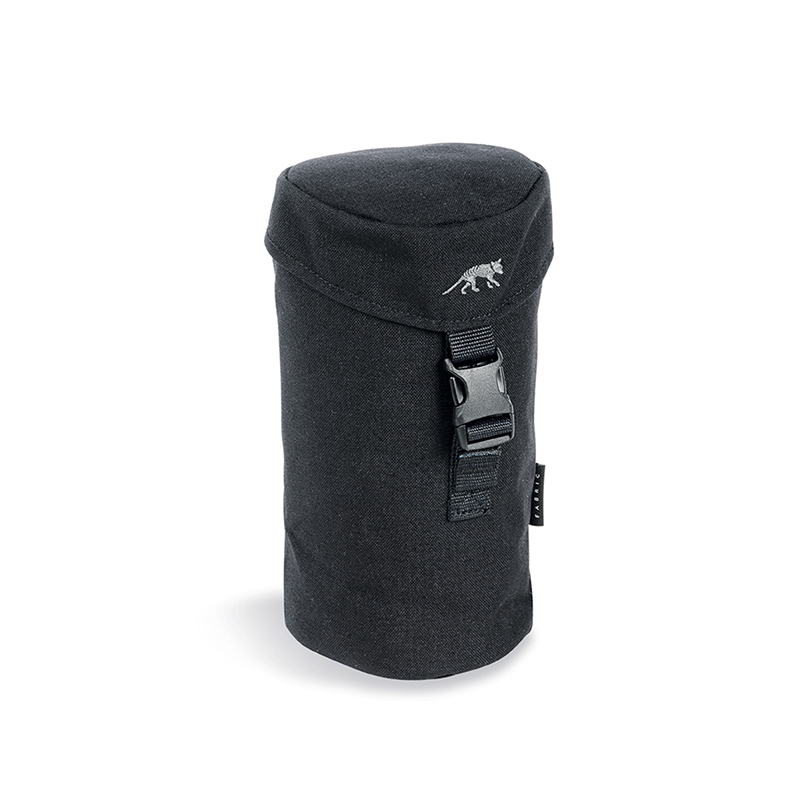 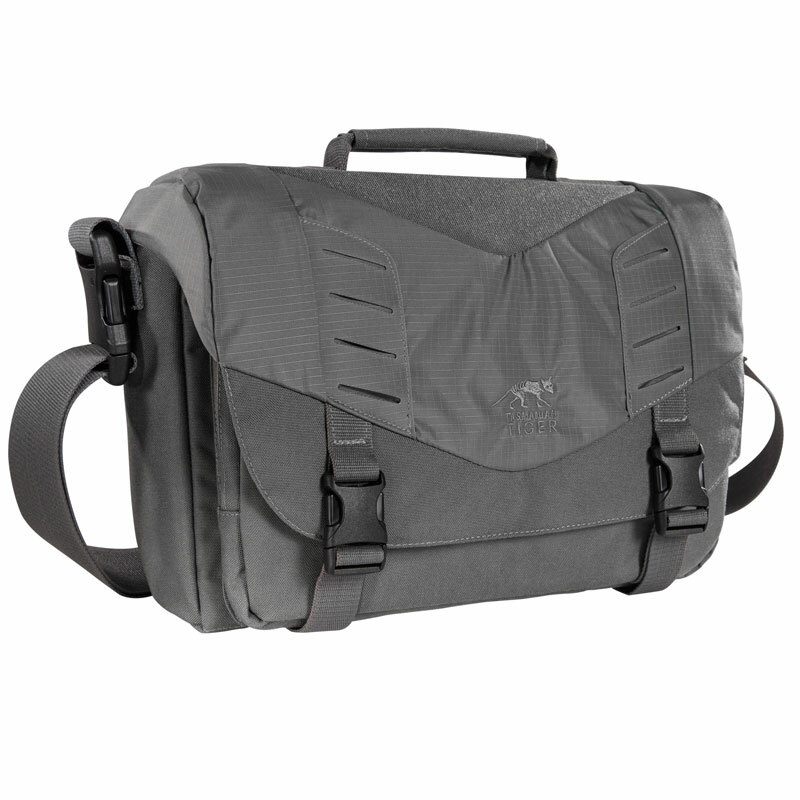 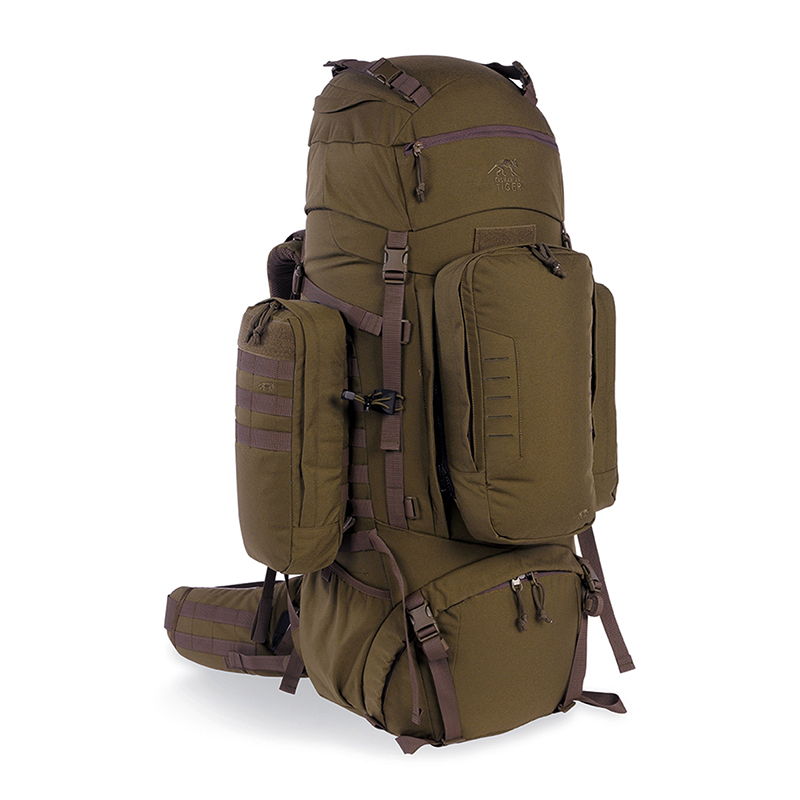 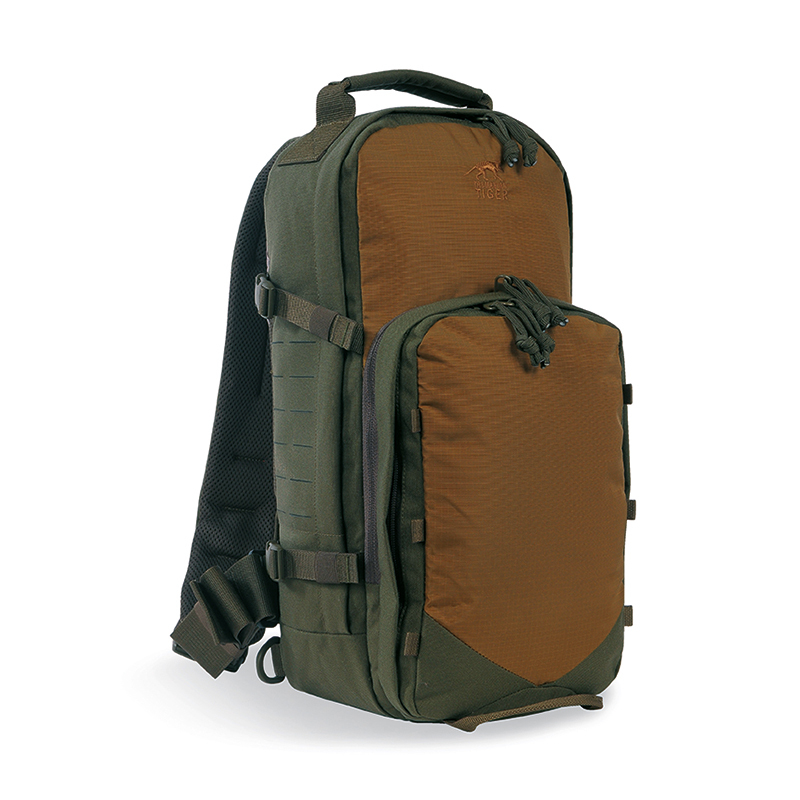 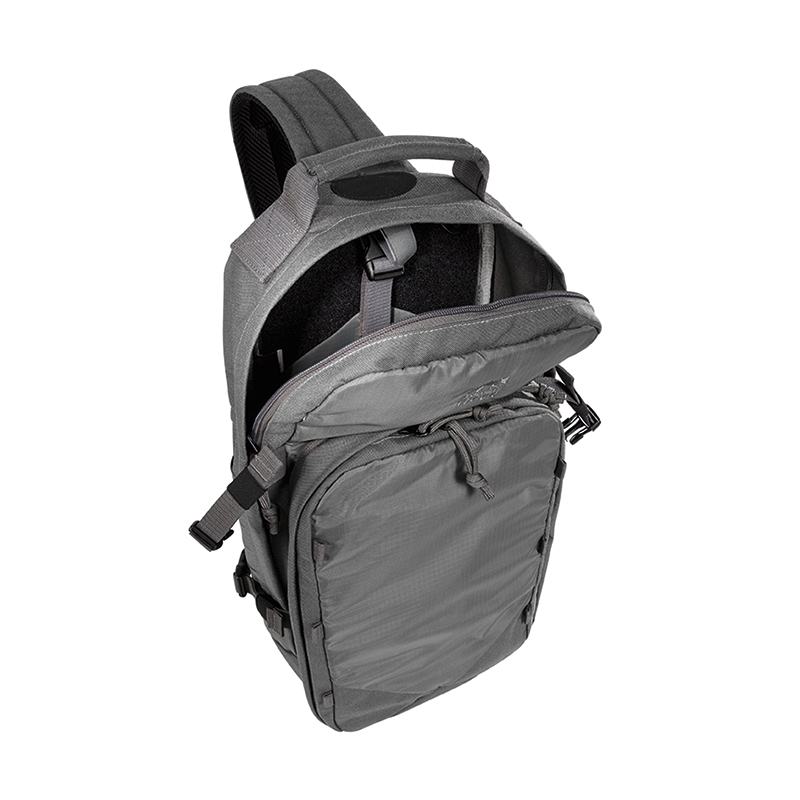 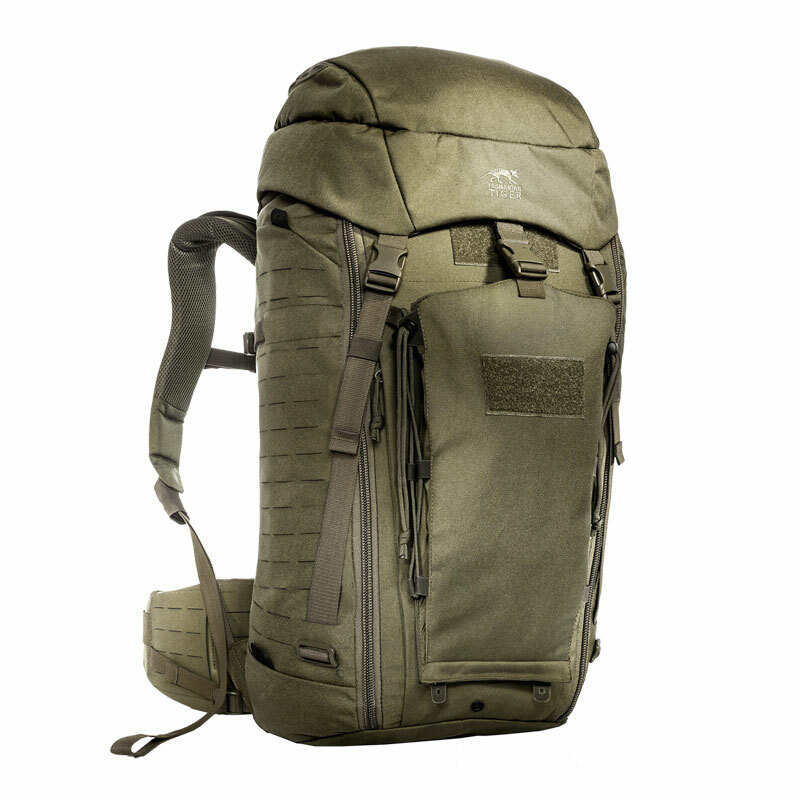 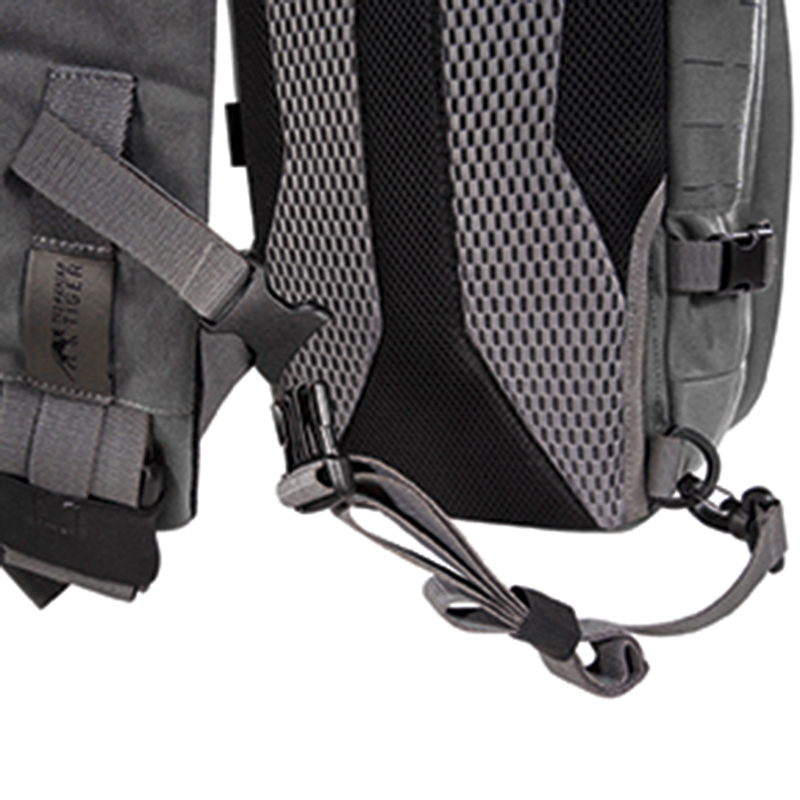 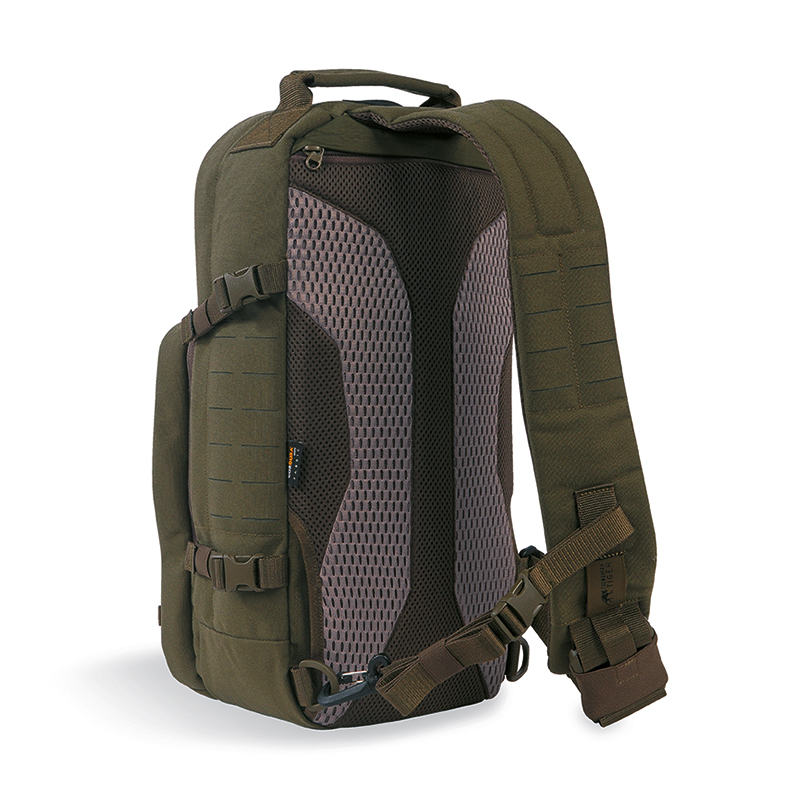 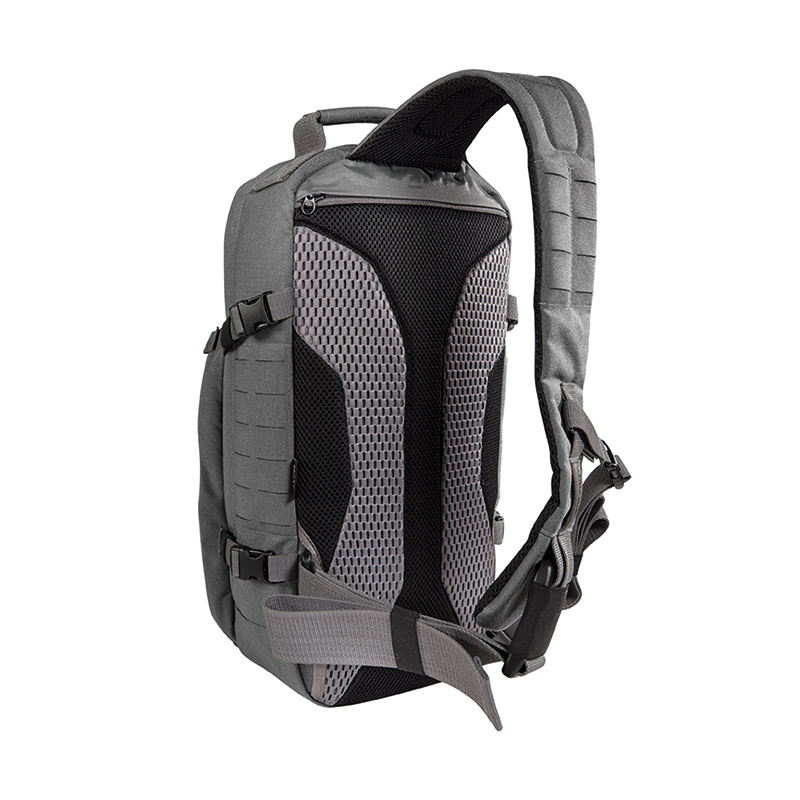 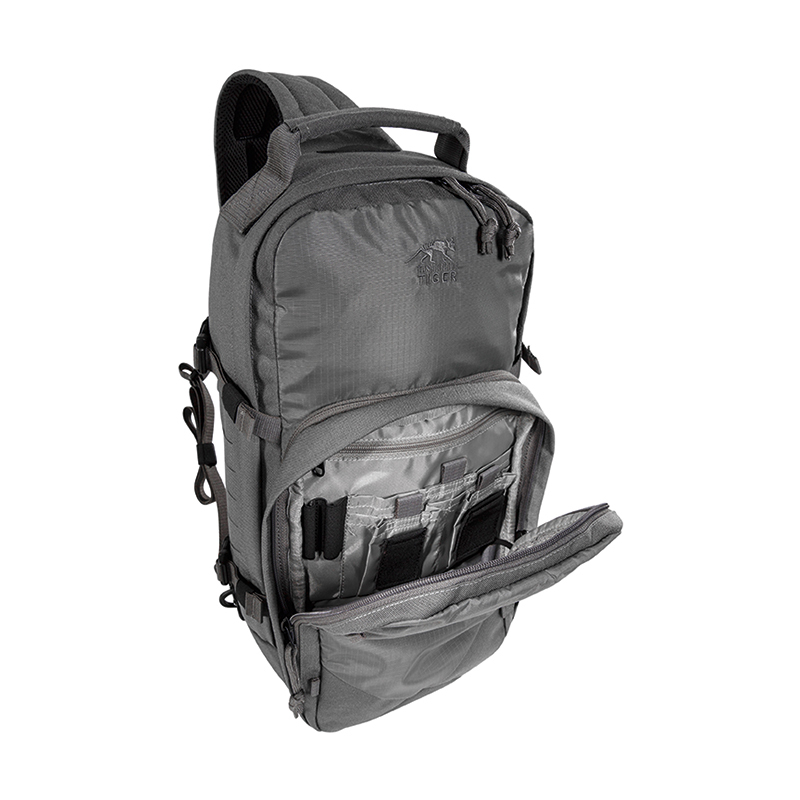 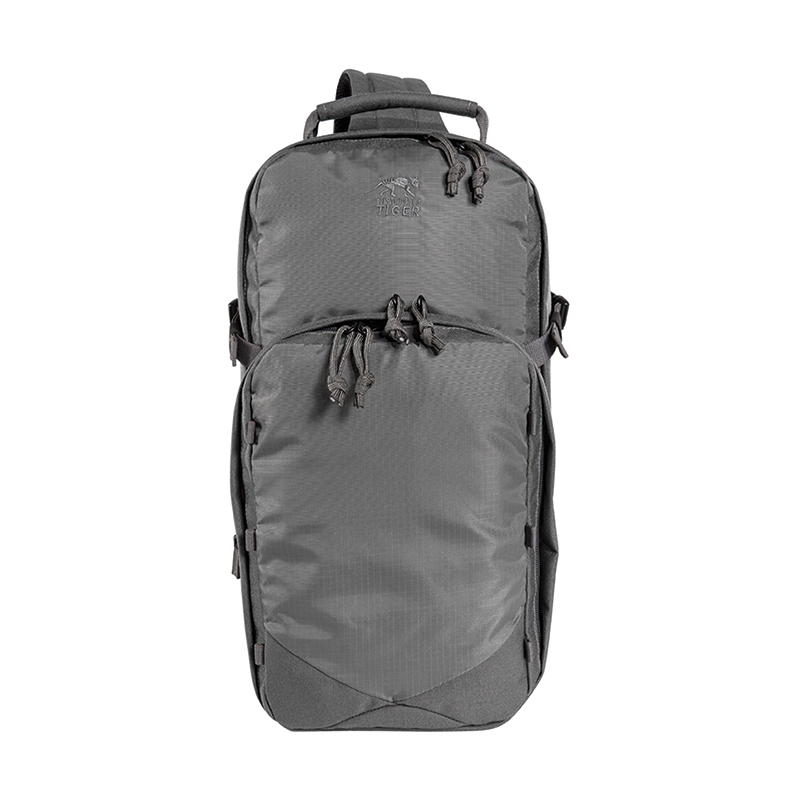 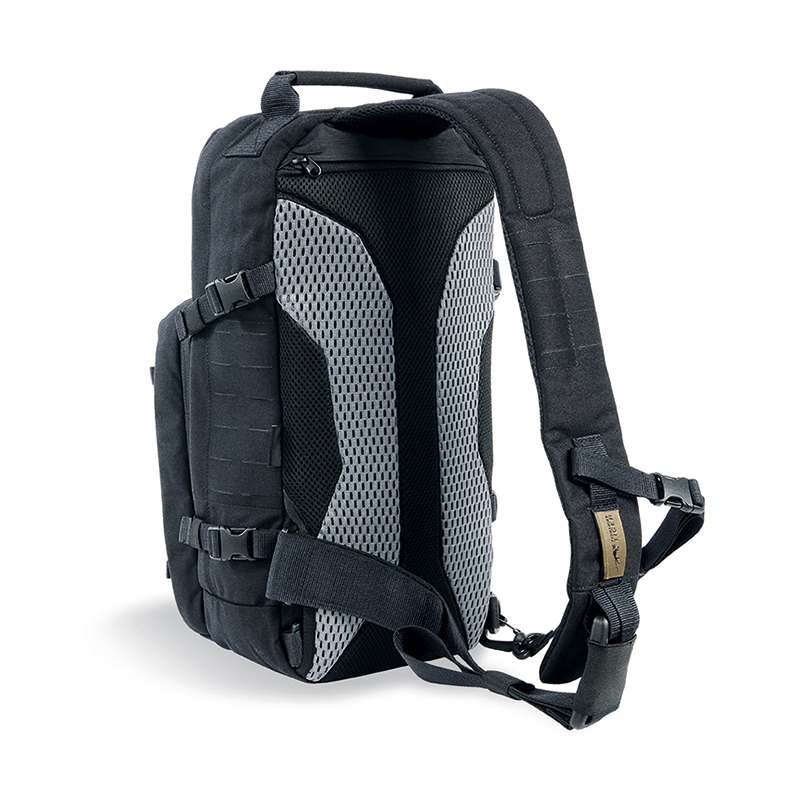 Sling Pack, 12L capacity with clever features. 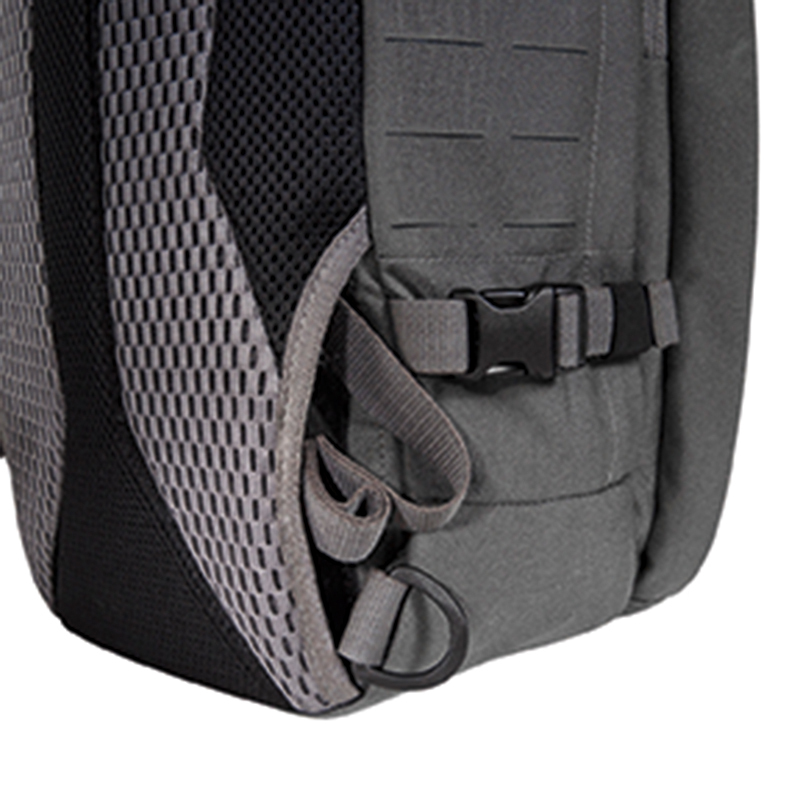 Backpack with one diagonal shoulder strap that can be worn on the right or left. 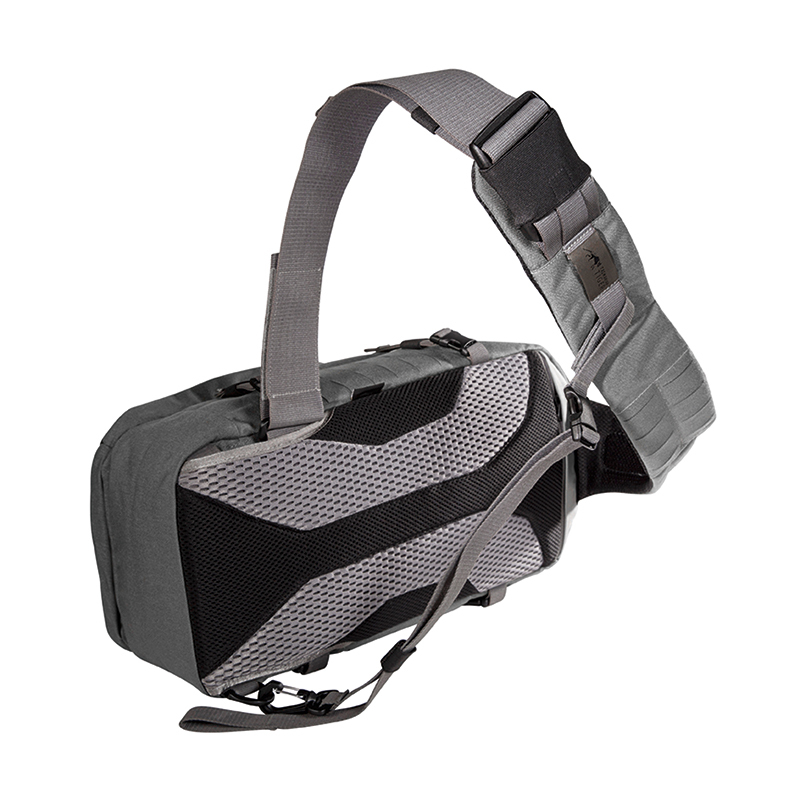 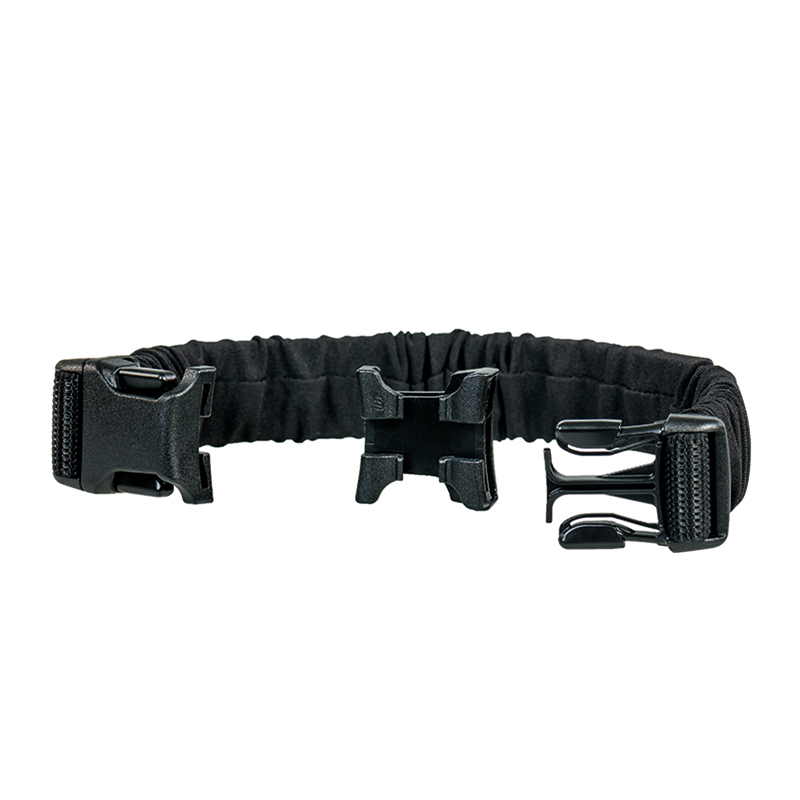 One removable laser cut panel and Velcro tape for handgun holster in a separate handgun compartment as features. 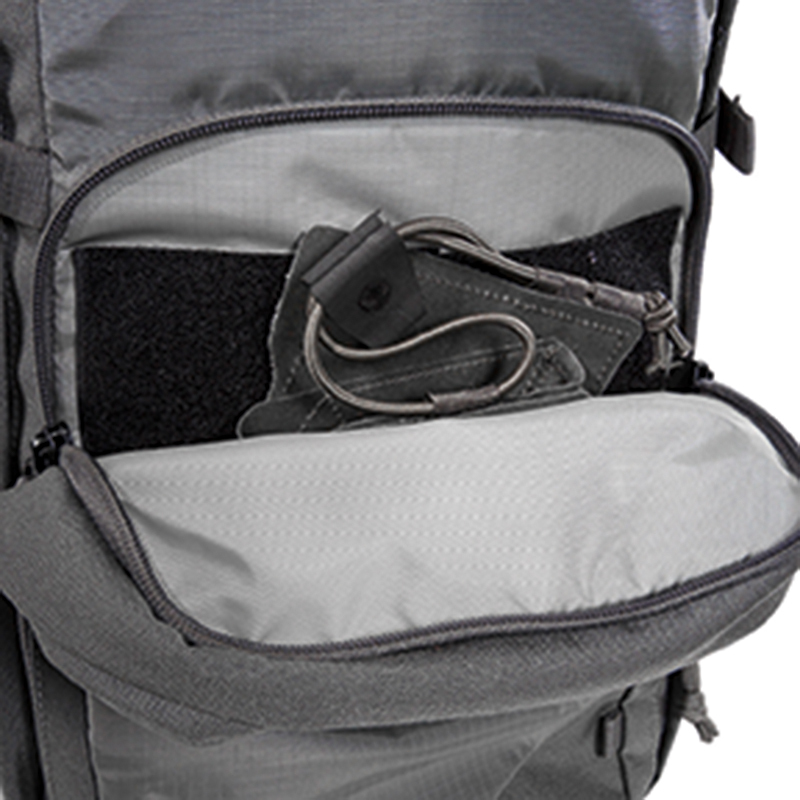 Organiser in the front compartment. 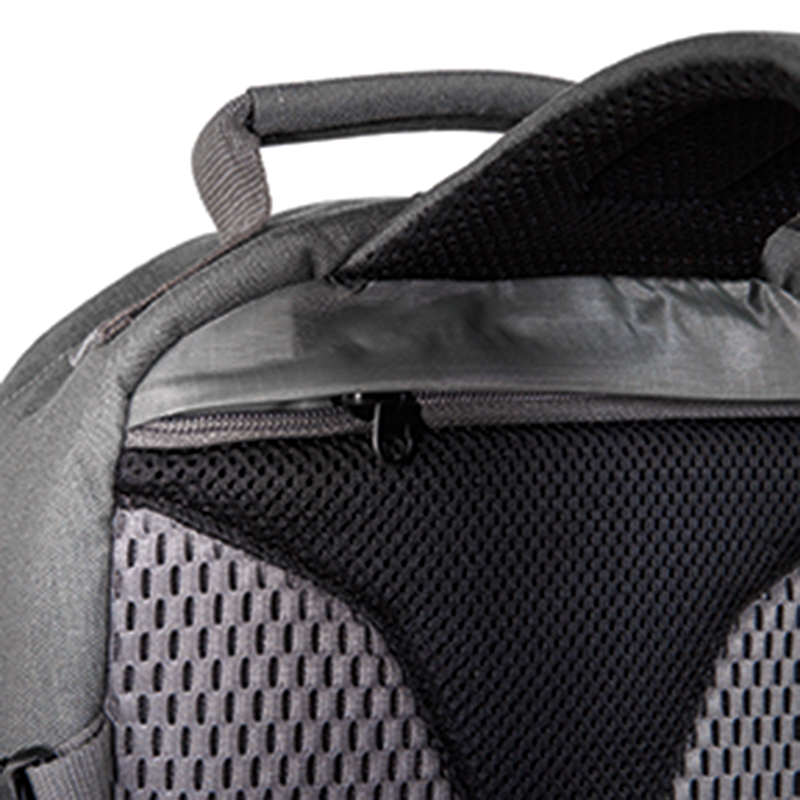 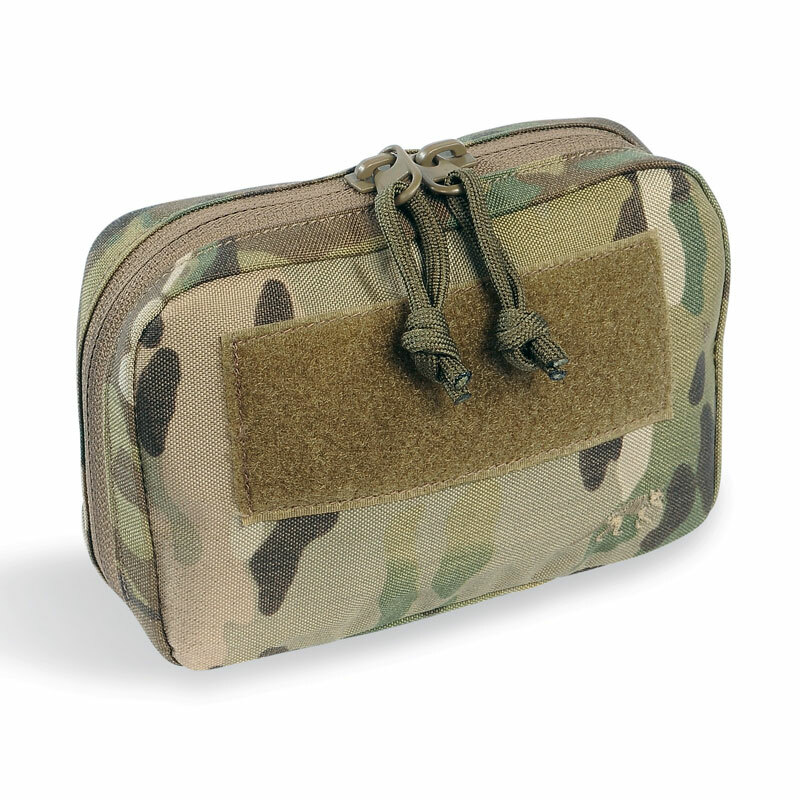 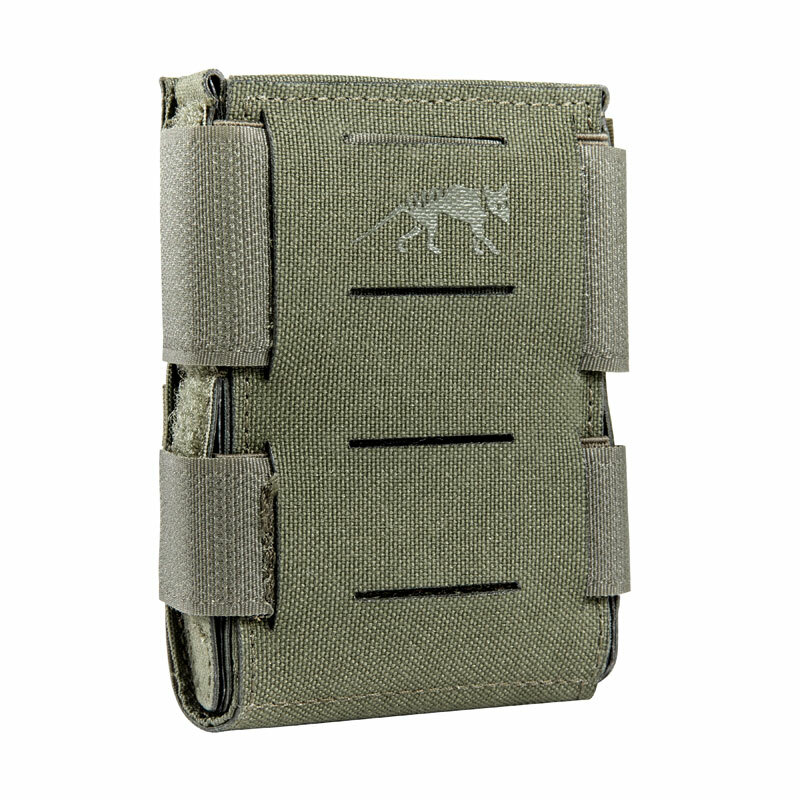 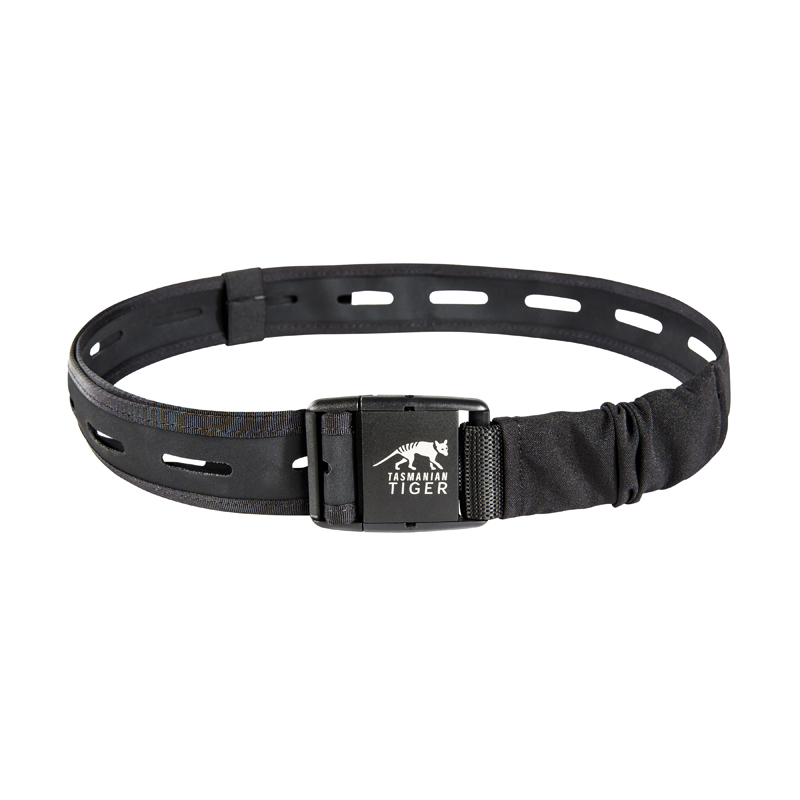 Concealed zip compartment accessible from the back.